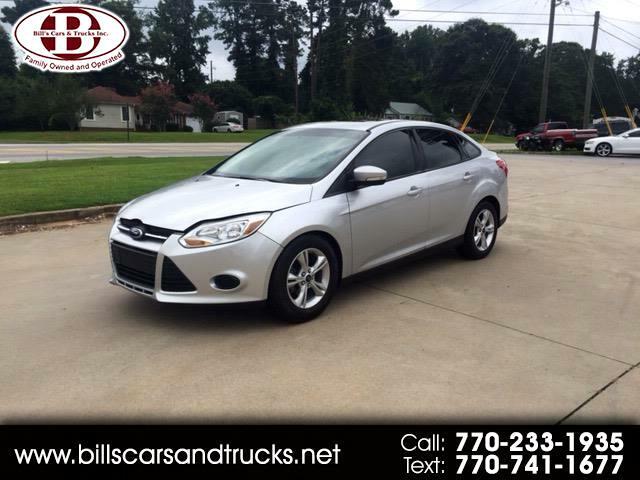 This 2014 Ford Focus is an adorable sedan! It has a sleek silver exterior and black cloth interior. This sedan also has several great features such as power windows, Bluetooth, and steering wheel controls! This car has plenty of leg room for all passengers, in both the front and back seats! Whether you are driving to work or driving across country, this sedan is perfect! Come by and take a look at this 2014 Ford Focus today!! Visit Bills Cars and Trucks online at www.billscarsandtrucks.net to see more pictures of this vehicle or call us at 770-233-1935 today to schedule your test drive.